I'm happy to be able to say I've been commended in this year's Take a View Landscape Photographer of the Year competition. I was lucky enough to win the 2016 Living the View category, and this is the category I've been commended in this year. I took this photo on 31st October 2016, late October or early November is usually the best time for autumn colour in the Lake District. 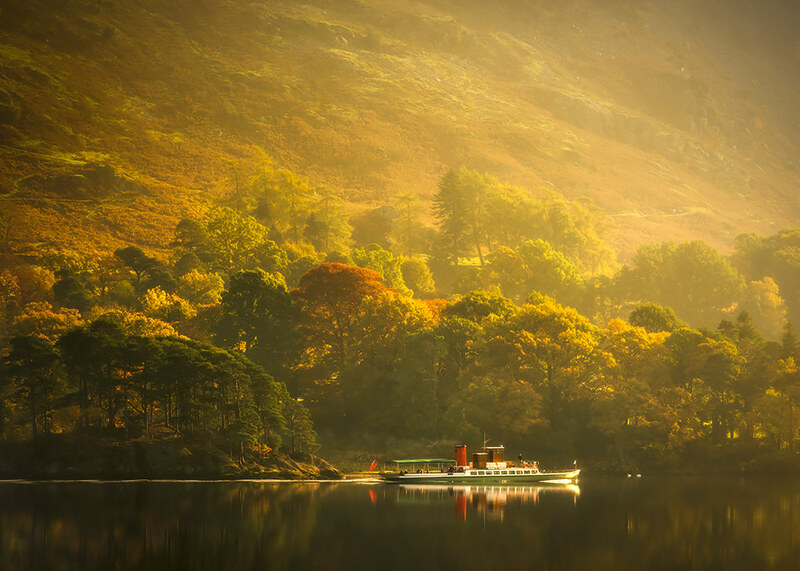 After an early start at Brothers Water I decided to visit Ullswater which is nearby. I noticed the steamer crossing the lake so got ready to capture it as it passed by. A photographer on the boat had the same idea to photograph the view. This photo will appear along with all the other award winning and commended photos in the Landscape Photographer of the Year exhibition at London Waterloo Station between 20th November - 4th February, and also appear in the book Landscape Photographer of the Year Collection 11. It's not an easy competition to do well in with thousands of entries every year from amateurs and professionals, but I've been lucky to have had success in three separate years now. Well done to all the others appearing in the book and exhibition. 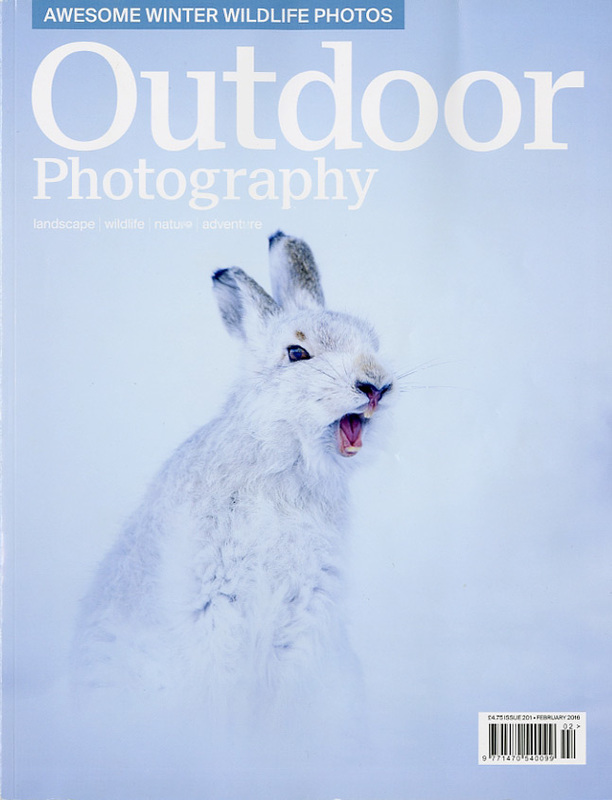 Some weeks ago I had a request from Outdoor Photography magazine to do an interview for the "In the Spotlight" feature of the magazine, this is the result. 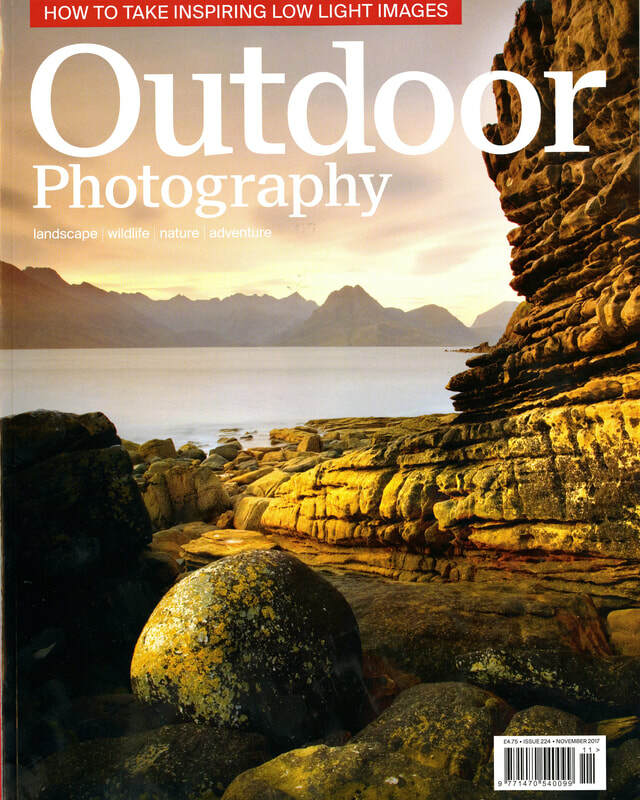 Many thanks to Outdoor Photography and writer Nick Smith for putting this together so well. 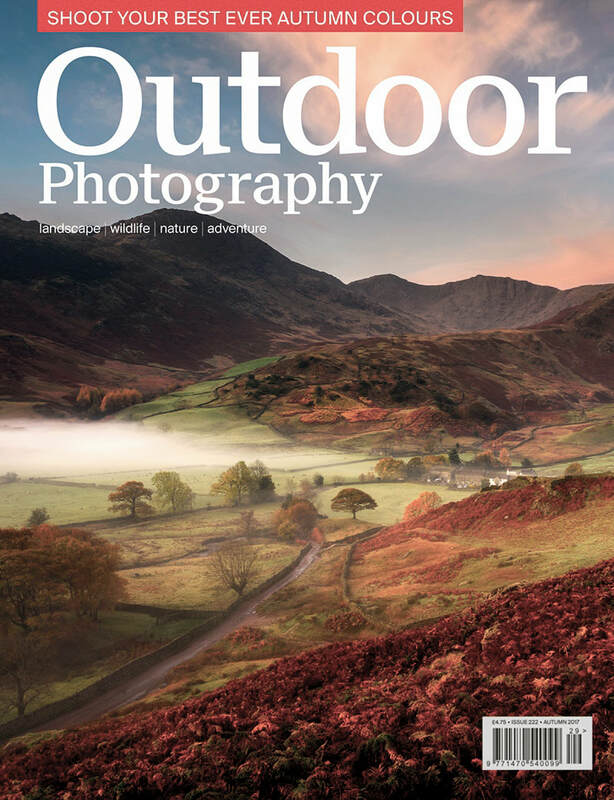 I'm proud to have one of my images on the cover of the Autumn 2017 edition of Outdoor Photography magazine. This is the best photography magazine on sale in my opinion featuring outstanding photographers and photographs each month. 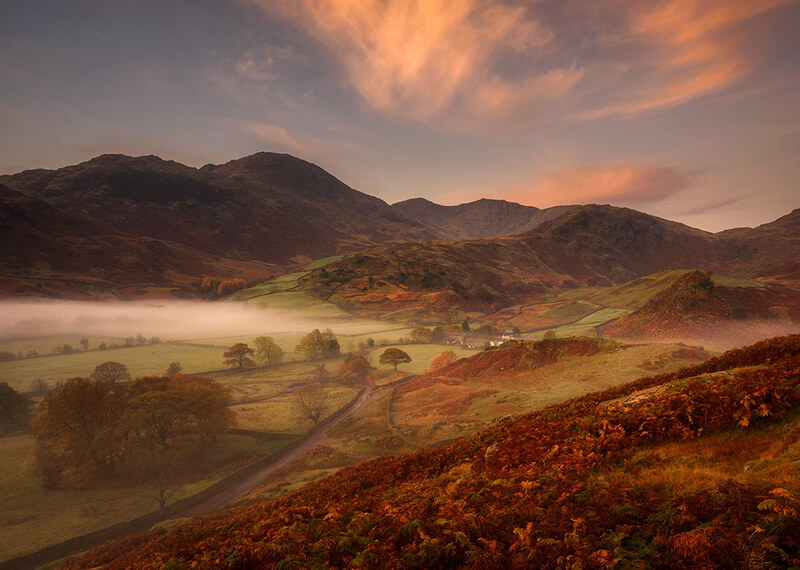 This picture was taken on a trip to the Lake District in November 2015, it had been several days of early mists and sunny days - my favoured conditions. This was the last morning of the mists before rain and more unsettled weather arrived, and a couple of hours after this was taken hill fog had closed in and the view had disappeared. The location is above Side Gates near Little Langdale, Ordnance Survey Maps say 'disused quarry' or Gill Grains. I'd been up the day before but hadn't made the most of it so thought I'd try again. It was good to bump into guide writer Ellen Bowness there, I had her Lake District book in the car but forgot to get it signed though! In other news I'll be publishing more photos on this website soon, just had a break from processing over the summer but am now catching up on that. There'll be pictures from Cornwall, Derbyshire and Suffolk to come in the next few weeks. 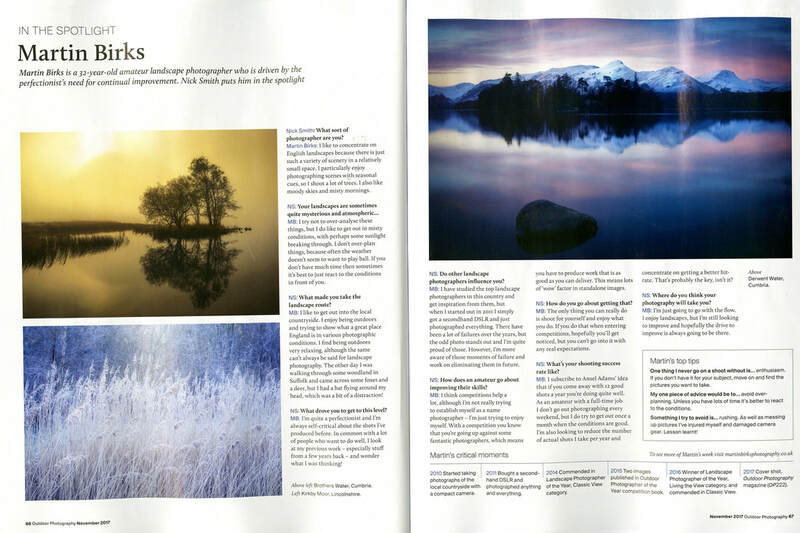 Just a quick update to show my opening shot in the February 2016 edition of Outdoor Photography magazine. 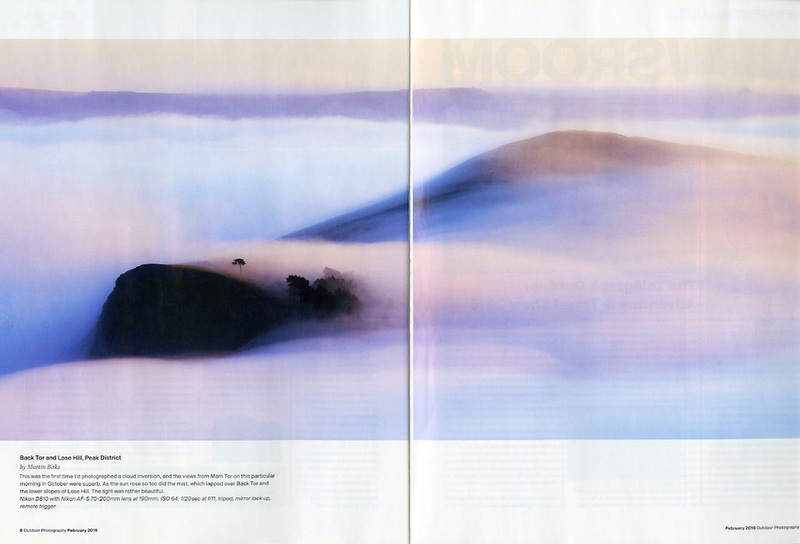 I'd heard the news in December that two of my images would be in the new Outdoor Photographer of the Year book, and in the same week the magazine contacted me to say they'd be featuring my picture of Back Tor and Lose Hill in the Peak District as their opening shot in February's edition. Was happy about that and really pleasing to see this in print, it was taken in October 2014 and it's still one of my favourites. 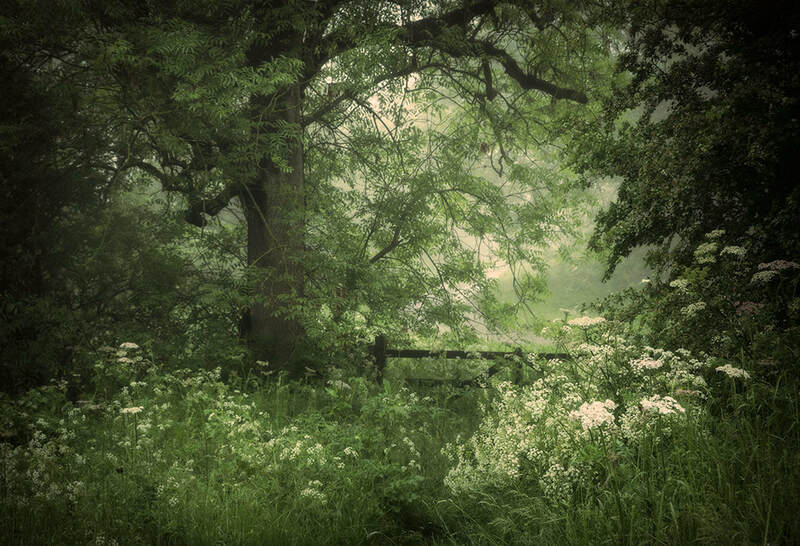 I might give it a final chance of competition success in this year's Landscape Photographer of the Year. 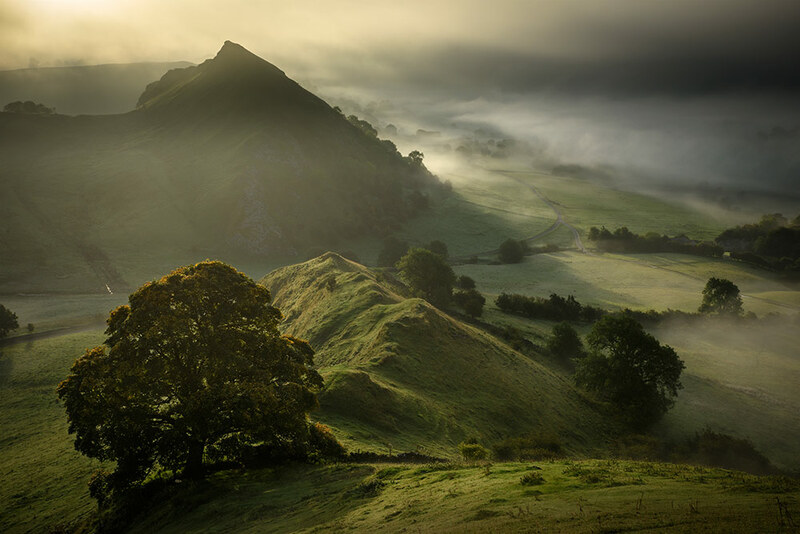 Chrome Hill, Peak District, September 2015. Asterby, Lincolnshire Wolds, August 2015. 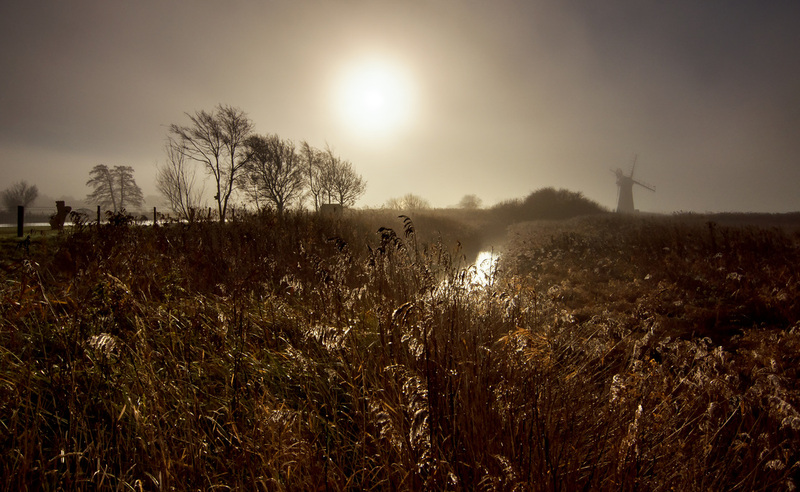 I was interviewed by Nicola Gilroy today, presenter from BBC Radio Lincolnshire, alongside Charlie Waite to promote the 2015 Landscape Photographer of the Year competition and landscape photography in Lincolnshire. The invitation was offered as I was commended in the 2014 awards, and local radio stations were keen to speak to successful local photographers. I wasn't sure what to expect but it was an enjoyable experience having the opportunity to talk to both Nicola and Charlie, who is widely regarded as one of the best ever landscape photographers. Charlie provided a critique on my commended image from last year's awards, describing it as capturing a 'special atmosphere' and a result of the photographer being 'in the zone'. I was asked about the experience of photographing outdoors and the effort you go to get a shot. I didn't say all I wanted, but hopefully one day I'll get the opportunity to do something similar again. The interview will be aired on Tuesday 30th June around 2pm on BBC Radio Lincolnshire. I'll be entering the competition again this year with what I feel is a stronger selection of images. For anyone who has a special landscape image, whether it's in the countryside or urban, or involving people, it's worth entering the competition where you have the opportunity of winning a maximum £10,000 prize, and seeing your images in the exhibition at London Waterloo station and awards book. I'm pleased to say this image has been commended in the prestigious Landscape Photographer of the Year competition (Classic View), and will appear in the awards book (Landscape Photographer of the Year Collection 8, published by AA) and free exhibition at London Waterloo station, running from 1st December 2014 to 31st January 2015. All winning and commended photographs will be on display on the mezzanine level of the busiest station in Britain, and be shown on a large screen which spans the station from platforms 7 to 11. I'm already looking forward to next year's competition. I think my images have improved a lot in the last year and I hope to have more photos in the running for the £10,000 prize. London Waterloo Station with my image displayed on the large screen. Photo courtesy of Russ Barnes.